OK, accepted this is not high culture. But it is absolutely on the money in many, many ways. After a three week trip to Japan the insights are spot on and an excellent approach to learning something new of Japan without the heavy duty approach of years of learning. The book really is hysterical. 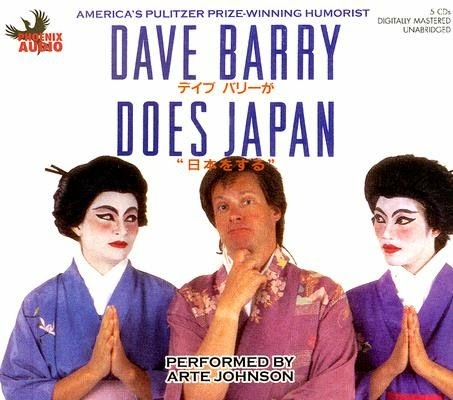 Although a little dated having been written in the early 1990s, Dave Barry, an American columnist, has a clarity of vision on Japan that is as refreshing now as it was then. In fact, I still use many of the anecdotes to explain Japan today. The point about "yes" means "I'll think about it" and "no" means "your idea should be fed to the goats" even makes my Japanese friends laugh at the both the wit and also the truth and insight Although written essentially as an amusing account of his visit, his simple approach to understanding the culture provides an excellent eye opener to both the new starter and the old hand alike. The chapter on Hiroshima aside (as it really is in the wrong book) you will cry laughing from start to finish and unintentionally learn a lot about Japan in the process. And you'll know what not to shout at baseball. Another fascinating read is 'The Forgotten Japanese', by Tsuneichi Miyamoto. A glimpse into rural Japan such as we could never otherwise know, long gone.